Check out these high value Quaker clippable coupons giving us big discounts on granola bars, oatmeal and more. Plus select items are available for Subscribe & Save which will save you an additional 5-15% and give you free shipping! 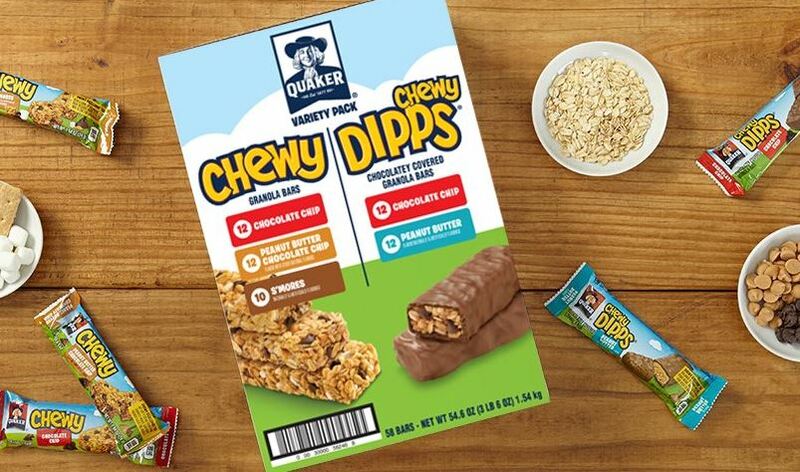 For example this Quaker Chewy Granola Bars and Dipps Variety Pack, 58 Count drops to $9.34 when you clip the $3 off coupon and subscribe and save. That's just $0.16 per bar! *Prices can change anytime. If you have 5 or more subscriptions arriving in a month, you'll save 15% off this order instead of the regular 5%! And when you sign up for Subscribe and Save, you are under no obligation and can cancel at anytime.